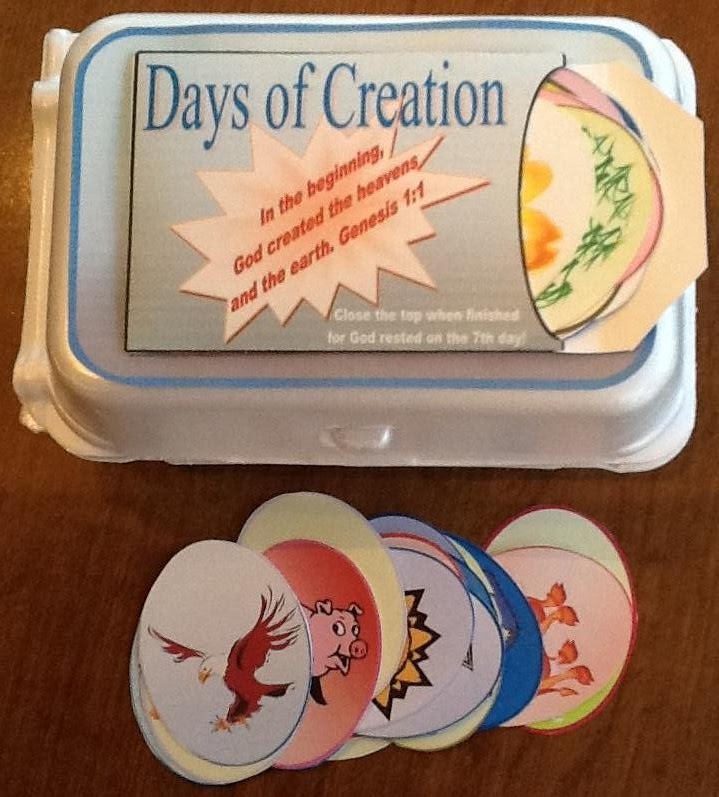 I came up with this idea when I was working on the 12 Disciples egg carton printables. 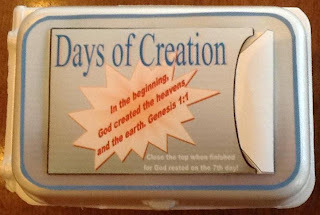 For this project, I purchased a 6 pack of eggs, just for the egg carton! It's so cute! On the top of the inside is the basics for what God created each day. If you know the song, you can sing it and it will help the kids to remember the days. 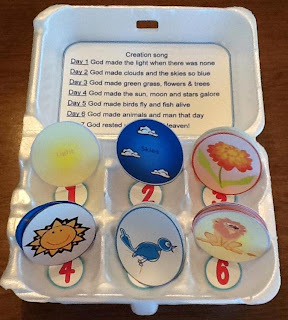 I learned the song at the Teacher's Workshop, I haven't done preschool stuff for a long time, but I found it and you can print the song here. I glued the numbers to the bottom of each egg section. Everything was printed on cardstock, and I used Aleene's Tacky glue. 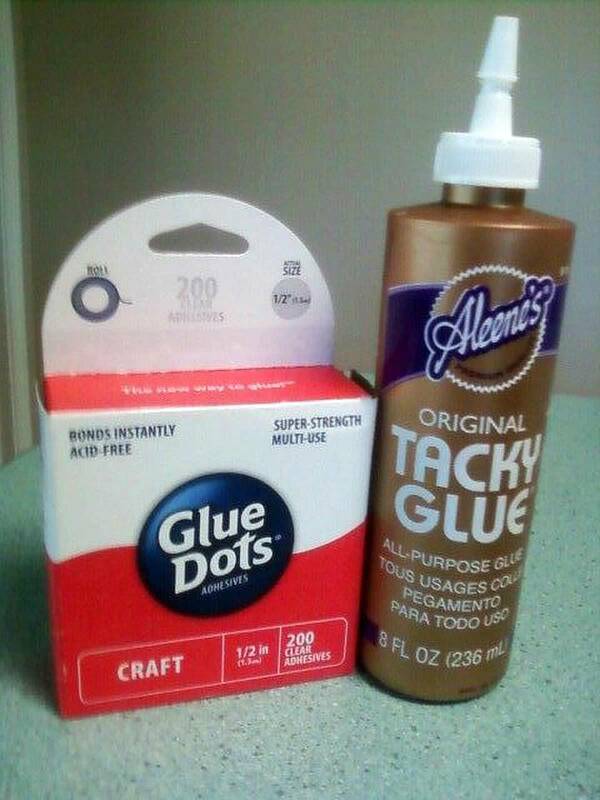 If it doesn't stay on, since it is foam, I will use my glue dots. This is the inside, once the eggs are added to the correct day. 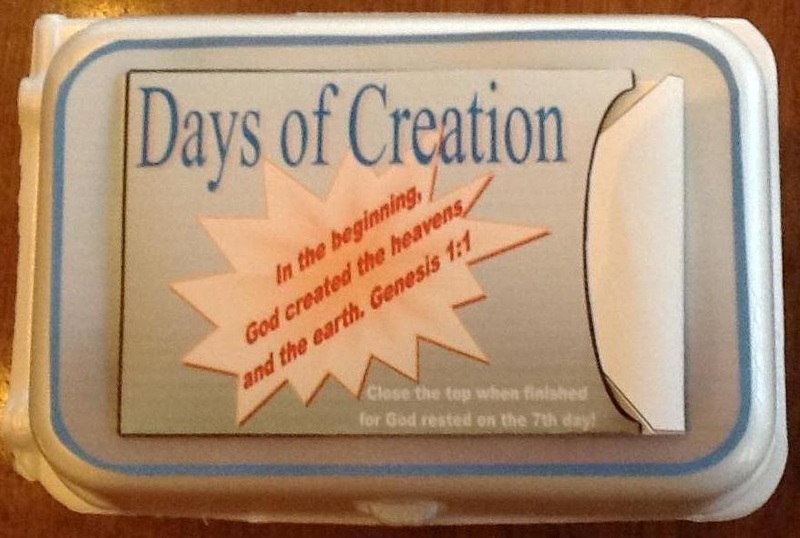 Here it is finished, closed for God rested on the 7th day! All the eggs are stored in the pocket on the top. Hi Debbie, I’m Anne from Life on the Funny Farm (http://annesfunnyfarm.blogspot.com), and I’m visiting from Mom’s Library Link-Up. This is great! 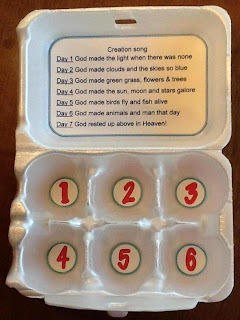 Love the idea of using the egg carton. Very creative! I love this! I used to teach this with paper bags but I love this idea. Thanks for sharing! Love this idea! Pinning. Thanks for sharing at Mom's Library. Stopping by from Skip to My Lou :) What a great idea. I've seen resurrection eggs, but never anything like this. 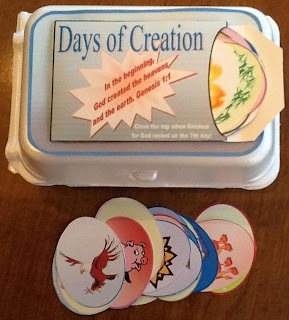 What a great way to teach the days of creation! What is tune to the creation song? 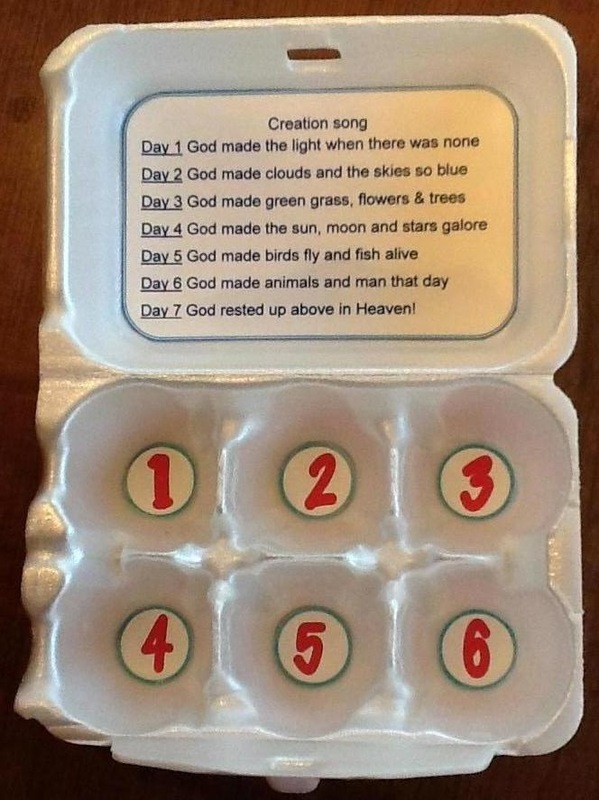 I have pinned this to my Bible Activities board and am planning on using it this year. This is such a great idea! My kids love Resurrection Eggs and they always remember best when doing hands-on learning so this is perfect for us. Thank you for sharing. Thanks for linking up to Tender Moments with Toddlers & Preschoolers!